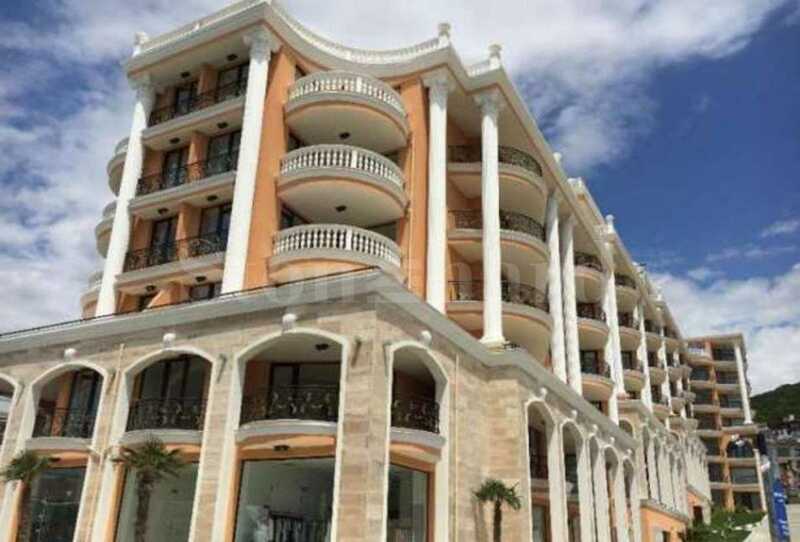 We present to your attention a wide range of different types of functional apartments for sale in a newly built complex near the beach in a prestigious central area of Sveti Vlas seaside resort. The stylish apart-complex stands out with Mediterranean architecture, round terraces, facade fitted with a natural stone and the arches as a basic element. The gated complex is completed in 2017. The 7-storey building of the complex is serviced by an elevator. The common areas are luxury fitted with porcelain stoneware tiled flooring. The future residents of the complex will enjoy the following amenities: outdoor and indoor swimming pool, the SPA center with sauna and jacuzzi, bar, landscaped garden, access control and parking lot. 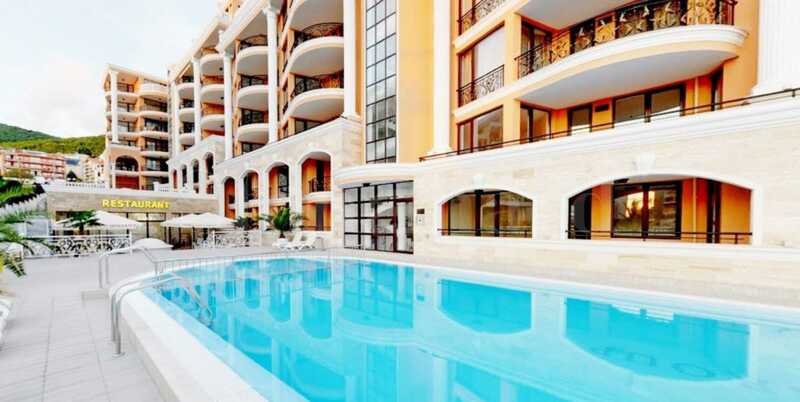 The properties for sale are studios, 1-bedroom, and 2-bedroom apartments with favorable exposition and functional layout of the spacious premises. The dwellings have nice terraces overlooking the sea or the pool. The apartments are offering with the quality turnkey finish: laminated and porcelain stoneware tiled flooring, latex painted walls, PVC window joinery, equipped bathrooms with toilets. The elegant complex is located close to the popular Marina Dinevi Yacht Port and only a 150 m. walk away from the resort's beach. The area has everything needed for year-round living or a vacation, as well as high rental demand during the summer season. 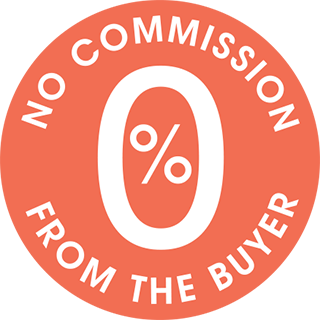 For more information about the new properties, please call the agent of the offer.